Product prices and availability are accurate as of 2019-04-13 06:26:26 EDT and are subject to change. Any price and availability information displayed on http://www.amazon.com/ at the time of purchase will apply to the purchase of this product. We Eat Clay (And Wear It, Too!) 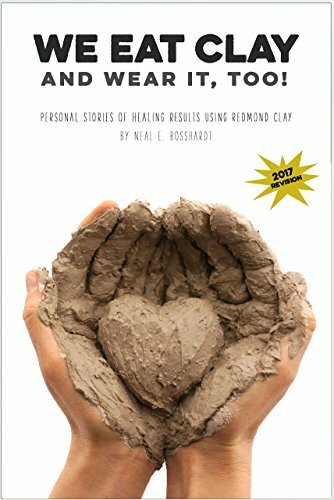 is a short, easy to read guide written by Neal Bosshardt, whose family has been using bentonite clay for more than six decades. This isn't a technical guide -- it's designed to teach you how to prepare and experiment with bentonite clay, both internally and externally. For thousands of years, people (and animals) have been using natural bentonite clay medicinally. This short guide introduces preparation techniques and includes anecdotes collected over decades of experimentation with natural healing clay.